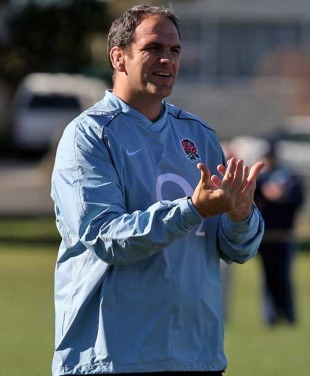 England's season may have ended on a losing note at the hands of New Zealand Maori in Napier but not even that painful defeat can tarnish what has been a breakthrough tour for England and perhaps more importantly Martin Johnson. The England boss embarked on what would be a testing tour under increasing pressure having overseen another largely disappointing Six Nations campaign that left him on the brink. His predecessors Brian Ashton and Andy Robinson had paid for better records with their jobs but a defiant Johnson was in no mood for quitting and his reward for sticking to his guns was a priceless victory over Australia that granted him a precious lifeline and served as a badly-needed endorsement of his approach. The relief was palpable in Sydney where the team revelled in their first victory in the southern hemisphere since their famous Rugby World Cup triumph in 2003. England rediscovered their cutting edge in emphatic style to silence those doubters who had written them off as a one-dimensional side apparently crippled by a fear of failure. This new-found confidence and belief and England's dependable physicality was a match made in rugby heaven and stunned the Wallabies who had impressed themselves in the first meeting of the sides in Perth. The knives were out for England after that game where they suffered their 10th straight defeat at the hands of one of the big three - Australia, New Zealand and South Africa - and once again the team's lack of imagination was painfully obvious. The team's creative shortcomings were all the more visible due to the pack's total dominance of their inexperienced rivals at scrum-time and anger was the over-riding emotion emanating from the coaches. Rarely does a side that dominates the set-piece fail to hammer home that advantage on the scoreboard but England's toothless backline showed how it could be done - or perhaps how it shouldn't be done. Australia's abundance of game-breaking talent taught them a lesson in how to not only create but finish chances. But that result appeared to be the tipping point for the team - a wake-up call. If they could not deliver in such a scenario then they may as well forget about next year's global showpiece in New Zealand. In the wake of that result, the talk was once again of a positive response but for once the team were true to their word with what was by far the best performance of Johnson's tenure and arguably their finest since that famous night in Sydney almost seven years ago. England finally looked dangerous where previously they had appeared clueless and the likes of scrum-half Ben Youngs and winger Chris Ashton delivered on their promise with eye-catching displays. But they rode their luck with the Wallabies' Matt Giteau missing with two late kicks that could have won his side the game. Stand-in captain Lewis Moody led with his usual barnstorming bravery and having steered England to their finest win in years he can expect to be handed the captaincy on a full time basis come the autumn even with a fully fit Steve Borthwick back in the mix. The performances of Courtney Lawes and Tom Palmer as well as that of veteran Simon Shaw will no doubt convince Johnson that Borthwick is no longer his first or even second choice lock and as a result must earn his inclusion again before laying claim to the captaincy again. As much as Johnson insists the line-up comes first and then the armband - surely only injury can strip Moody of the honour. "A drawn series with the Wallabies on their own patch represents a quantum leap from where the side looked to be heading after yet another fruitless Six Nations." Johnson's own assessment of the tour as "absolutely fantastic" may be a little over the top although his judgement may owe just as much to the strides taken with the squad off the field as it does to the team's performances on it. The second stringers played their part although not all appeared well during their opening clash with the Australia Barbarians where they too had to rely on missed chances from the hosts to escape with a draw - but they did notch the first victory of the tour in the re-match with the forwards grinding out the win. Further evidence of England's forward strength could be found in Napier where the tour reached a disappointing conclusion against the New Zealand Maori in what was billed by many as the unofficial third Test. The dirt-trackers looked set to follow the lead of the Test side with quick ball and ambition plus an assured-looking display from Charlie Hodgson fuelling a blistering start but they were unable to maintain that momentum and not even their forward dominance could shackle a naturally adventurous Maori. In the end, England were handed the latest reminder that although on the right road, they remain someway from the finished article. But make no mistake - this tour is a huge success for England. A drawn series with the Wallabies on their own patch represents a quantum leap from where the side looked to be heading after yet another fruitless Six Nations. Suddenly they look like contenders once again rather than also-rans and can look forward to an epic season that will kick off with clashes against New Zealand, Australia, Samoa and South Africa in November and will conclude with their latest assault on the sport's biggest prize in September and October next year. First on the agenda for Johnson is his latest elite squad that he will announce next month. The selection headache will be all the more bearable on the back of his side's showing Down Under - and that of the England Saxons who powered to their fifth Churchill Cup title this month - but the pressure remains . His nine victories from 21 games since taking hands-on charge (not including the ill-fated tour to New Zealand in 2008 where he was not present) still makes for impressive reading but at last one of those successes has come at the expense at one of the world's best. There will no doubt be more dark days ahead for Johnson and co as they remain in a different league to the All Blacks and standard-setting Springboks but together they must ensure that there is not another backward step. The standard has been set in terms of performance and expectation and the bar must be raised again if England are to seriously challenge for the big one next year.